Have we forgotten the simple art of mentoring? Research has shown employees are more likely to succeed in the workplace if they have a mentor. So why do mentoring programs often fail? Whilst programs are implemented with the best of intentions, results are often mixed, they can be seen by some as a waste of time and many struggle to gain commitment from managers and staff. In addition, in more recent times mentoring and coaching have become interchangeable terms, with coaching becoming the more fashionable tool. However coaching and mentoring are different processes, both provide valuable outcomes but they achieve different objectives. Mentoring programs provide organisations with a cost-effective method to develop employees, and can logically commence after the June performance review. So how do you implement a mentoring relationship or program that will benefit all: mentor; mentee; and the organisation? Mentoring is most often defined as a professional relationship in which an experienced person (the mentor) is paired with another (the mentee) to assist them in developing specific skills and knowledge that will enhance the mentee’s professional and personal growth and development. There are some situations in which reverse mentoring can also be utilised to educate more senior experienced employees in areas of technology such as social media. Mentoring can range from a structured program to address a specific skill, through to a more informal pairing to help an employee settle into a new position. Mentoring can contribute to improving employee retention and morale and it can support the recruitment process as well as diversity and integration within the workplace. Like all programs, mentoring will not add value if implemented for the ‘sake’ of it. Mentoring works best when both participants see the benefit of the relationship. For the mentor this might include a sense of ‘giving back’ and whilst the benefits might seem obvious for the mentee, expectations must still be clear and discussed upfront, i.e. the mentee might assume mentoring will automatically lead to a promotion. Mentoring can fail when it becomes a ‘talk fest’ or an ‘agony aunt’ relationship. The relationship can also become ineffective if it turns competitive with the mentor fearing they could be replaced by the mentee or the mentor’s power is abused. The mentor and mentee need to maintain focus on the original aim and ensure they evaluate against it. Time is also a barrier to the mentoring relationship. The mentor’s willingness to commit quality time to the mentee can prove challenging and the reverse can also be the case if the mentee cancels meetings to meet work deadlines. Jointly choosing the appropriate time to transition or end the mentoring relationship can also impact upon how well it is viewed afterwards. The first thing to note about a mentoring program is that it should be flexible to simultaneously meet the requirements of the organisation, mentor and mentee; the relationship can be set up within the organisation or could be with an appropriate external party and meetings can occur face to face, via phone or online. Look within and outside the organisation to ensure you match your mentee with a mentor that has the knowledge, ability and characteristics to be a mentor. Be clear with what the relationship will achieve. Examples of most commonly sought develop goals include; career guidance, organisational networking, communication skills, project management, and business knowledge. Mentoring is a voluntary process. To ensure the process is successful both parties need to want to take part in the process and have the time to devote. Ensure both parties evaluate the process and agree on a path going forward once the aim has been achieved. 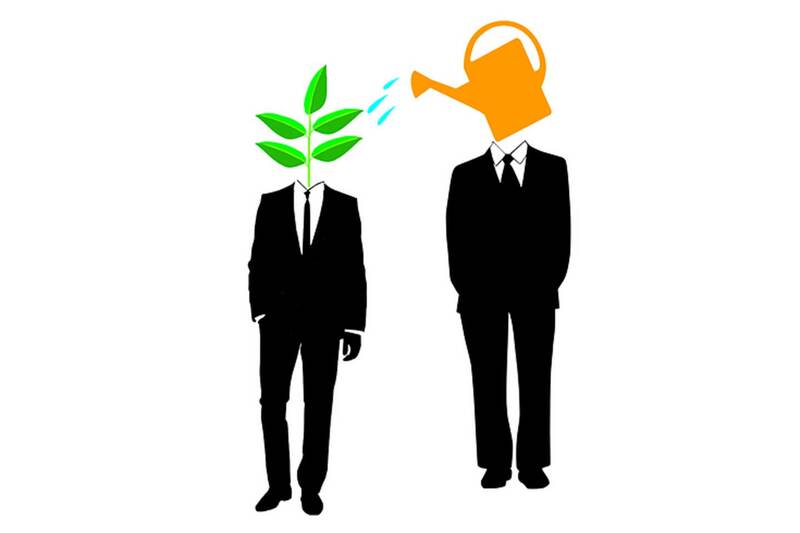 Mentoring is not a new tool but an effective tool that can develop specific employee skills. Mentoring doesn’t have to be in the traditional form and organisations should look at rejuvenating mentoring and implementing it effectively to reap the benefits, particularly after upcoming performance reviews. While I have benefited from several terrific male and female mentors over the course of my career, I have since found the focus on the mentoring of senior women as a means of 'fixing' them to be counter productive. Catherine Fox critically examines this issue in her latest book, 'Stop Fixing Women: Why building fairer workplaces is everybody's business.' Fox refers to Jennifer de Vries’ research, which analyses the practice of mentoring. She finds that, at senior levels, the focus on ever-more poking and prodding to fix all women's ills does nothing to advance their careers. de Vries and other researchers now believe that its the jungles women work in that need transforming, not the women. The women are no more 'broken' than some of the men. Fox argues that mentoring and sponsorship must go hand in hand. Actively finding opportunities and opening the right doors can go along way to helping someone's career. Reverse mentoring is also being experimented with in some organisations, where juniors enlighten seniors about their experiences. For some, this brings about those penny-dropping moments that can break down barriers. Goldman Sachs Australia Simon Rothery says women are over mentoring and want sponsorship. Perhaps more thought needs to go into this. Are the days of overtime over? Has the role of the Graduate died? Time to Shelve the Performance Appraisal? Do you have a Moth Culture? Help – It’s performance review time! How can remuneration benchmarking impact your bottom line?